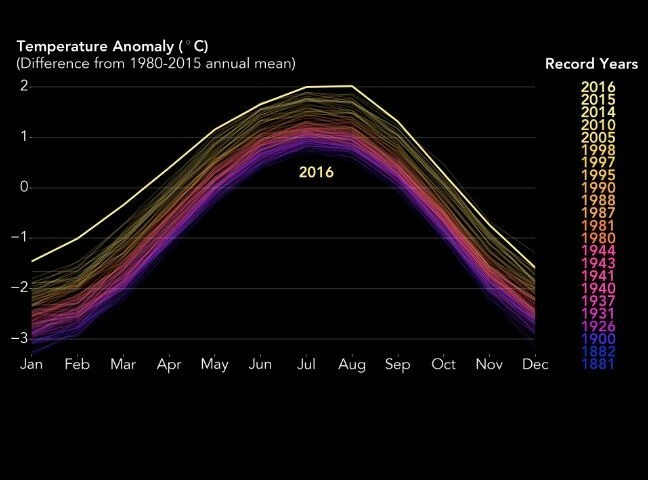 It’s now official: 2016 was the hottest year on record, making this three years in a row that have each successively taken the title. Reminds us of the old saying: the best time to plant a fruit tree is 20 years ago. The second best time is now.